April 17, 2016, SIOUX CITY JOURNAL | Leadership Siouxland is holding a celebration April 28 to mark 30 years educating and training community members to make an impact within the tri-state area. All past alumni of Leadership Siouxland are encouraged to attend the 30-year celebration, which will be at Jackson Street Brewery, 607 Fifth St., from 5 to 6:30 p.m. In 1984, a group of community leaders came together to form Leadership Siouxland. Basing the program on community topics and issues, individuals in the program gain valuable skills to impact the community within their place of employment and by volunteering for boards and other local initiatives. Within a year of the initial founders’ meeting, the group was ready for the first class. The program met one time a month starting in September 1985 and going through May 1986. Throughout the 30 years, hundreds of Siouxlanders have been sponsored by employers or local organizations or have self-funded their own participation in the program. Participants have learned more about their own skills and interests, and the Siouxland communities within the tri-state area. They showcase their new skills by working in small groups and partnering with local non-profits to develop and implement community betterment projects. 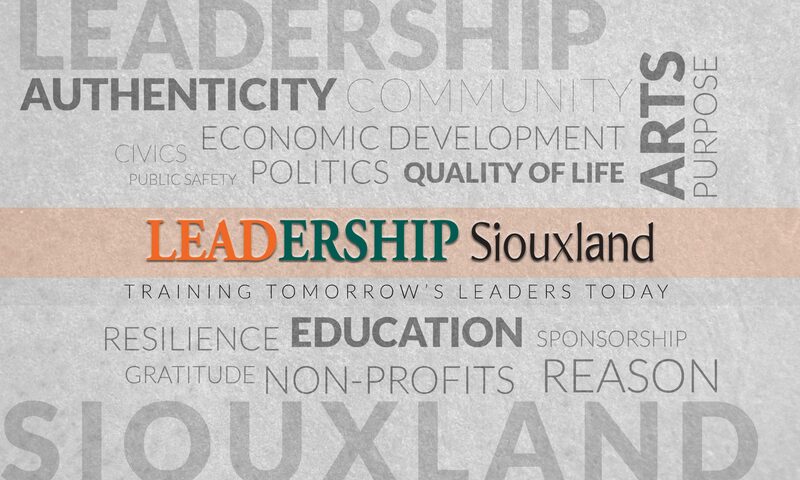 On May 6, the Leadership Siouxland Board of Directors will hold the graduation of this year’s class, with members presenting their projects to the class and invited guests. For further information on Leadership Siouxland, visit www.leadershipsiouxland.org, or contact Amanda Beller, executive director, at (712) 253-8522 or info@leadershipsiouxland.org.